Is the Bitcoin price going to kill the Bitcoin mining industry? Due to the consistent downfall of Bitcoin price, fear is spreading through the people about the end of bitcoin mining. According to F2Pool, the third largest mining pool, bitcoin miners already shut down around 800,000 machines since the mid-November. This is really a massive number. The effect this has had on the Bitcoin networks hash rate has been very real with the network hash rate dropping from 61.8 million terra hashes, the late August to a low of 36.7 million terra hashes quite recently. That sounds really drastic. There are reports coming out that home miners are being squeezed out even in the regions where the electricity is super cheap. Miners are now looking to sell their old hardware instead of staying in the mining game. Many mining companies are selling the computer gears by the value of kilos. But the fact is that these are the older generation machines that they are selling for basically recycling at this point. How low a Bitcoin price will go? Bitcoin has experienced 5 different crashes of over 75% over its history. Although the past cannot indicate the future, however, the fundamentals behind the bitcoin have not changed. Moreover, the Bitcoin has proven its ability to bounce back many times. There are many people saying that the estimated lows are going down even lower. This seems to be a total panic as the investors are rushing to the exit door taking any price that they can get in order to get out at a loss or perhaps hoping to buy at a lower price later. But bitcoin price does its way of not doing what you expect it to do. How can the bitcoin value go up again? We need to have people feel that there is a value in these assets. They must be willing to buy them not because of momentum but because they’re actually valuing on a fundamental utility that could be long term. Investment in the crypto mining industry continues at a very strong pace amidst the crash. With that said, crypto businesses have planned to replace the newer machines with the obsolete ones. Thus China, Russia, and other parts will be doing hardware upgrades to bring the new generation of machines. Consequently, this can support lower power requirements, thus making them even more competitive. Recently in Paraguay, the vice president has announced his support for the golden goose project. This project would see the South Korean blockchain foundation building 5 mining farms on Paraguay’s state-owned farm. The new data centers in Paraguay are located next to the Itaipu hydro dam on the Parana river. This hydroelectric dam produces the highest amount of energy of any hydro dam in the world. The dam is producing a tremendous amount of energy that is well above the local demand for it. In turn, this will offer a great collaboration with crypto miners. Moreover, they are eying to build the largest mining firm in the world just next to the dam. Now China is accountable for about 70% of the global mining hub with Bitmain, the world’s largest bitcoin mining industry. But the issue with coal-fuelled power resources has raised alarming pollution concerns among the mining community. This has forced them to shift to their European counterparts. 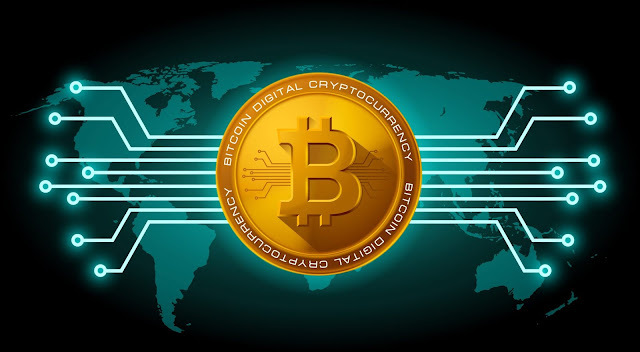 In turn, this proved to be fruitful as Bitmain recently set up a mining unit in Switzerland. Enriched with the cheap electricity and sub-zero temperatures (esp. in winters), Nordic countries have welcomed the business. Sweden accounts for over 40% of the electricity production from nuclear while in Norway, 99% of the electricity production comes from hydropower. Further, the low temperatures will serve as a natural coolant to the servers. Both Vattenfall (Swedish energy asset) and Statkraft (Norwegian energy asset) have embraced this energy-intensive project. Iceland, a popular mining hub for Bitcoin and Ether is also in the advent of extending the mining farms. Moving over to Armenia, a new $50 million dollar mining farm building has been opened up and backed by a real estate company. They are starting off well enough with 3000 machines. They are actually in the process of procuring and powering up an additional 120,000 machines. This will, in fact, put Armenia on the bitcoin mining world map after having so long played second fiddle to its mining powerhouse neighbor, Georgia. Now some people are probably thinking that the heat generated from mining is a massive waste of energy. However, a Canadian heat survey company claims to better use them to heat residential, commercial buildings, churches or greenhouses. Dual purpose miners may be the way of the future and maybe a win-win situation for Bitcoin miners. So shall we think that the current Bitcoin price is killing the mining industry? The facts are saying not in the near future. The current Bitcoin price is just forcing a change of hardware to upgrade to the new generation models. It is just washing out short-term miners but the biggest mining companies are doubling down.